Assault Wing is a freeware fast-paced multiplayer shooter where 16 players may show their ship-flying skills to others over the Internet, or battle with a friend in split-screen mode. Players get to choose a ship, a special weapon and ship mod and then they’re off to some great deathmatch gameplay. 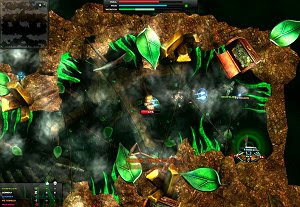 In terms of graphics, Assault Wing supports high resolution and earned the sixth place in the Assembly 2011.